We provide our clients with Marble Carvings that is offered in different colors. We offer our carvings in smooth finish & shine. These Marble Carvings include various figures and designs on different walls. 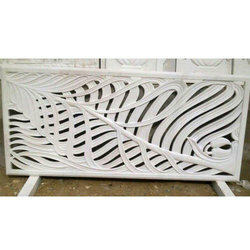 We manufacture White Marble Carving Work in stone. 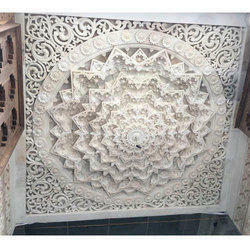 We are the major exporter of stone White Marble Carving Jali. 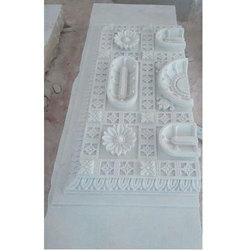 We are the supplier of White Marble Carving Jali. 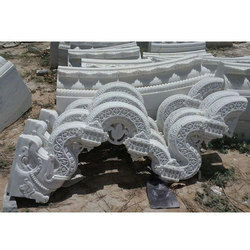 We make White Marble Carving Jali in many color. 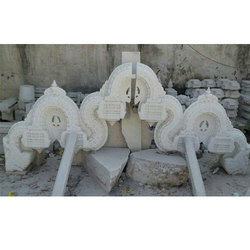 We make White Marble Carving Jali in different stones. 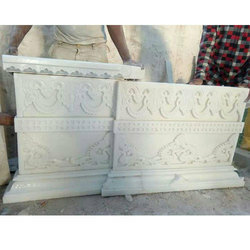 We are leading manufacturer, whole seller and exporter of White Marble Carving Jali in ambaji, makharana, giri, bidasar, yellow jaisalmer, rain forest stone, dholpur stone, dungarpur stone, banswara stone, sandstone, marble, granite, bush hammered stone work, kings palace work, columns, capitol and base, mordern arts, garden artefacts, fountains, gazebos, pavallion, baradari in different sizes and designs. 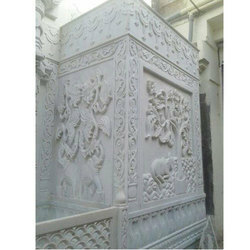 These White Marble Carving Jali are provided by us in various range and specification and offer at very reasonable price. 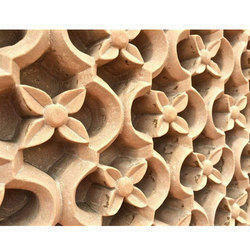 These Marble Carvings are specially designed by expert designers to offer extremely elegant look. 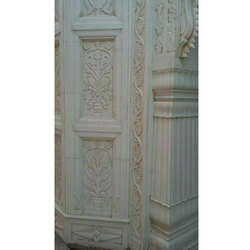 Marble Carvings offered by us are the result of 100% attention of our experts and their hard labor. With the availability in various designs our marble Carvings are the incredible choice of our valued clients. These quality Designer Stone Carvings are thoroughly appreciated for their unique features such as optimum finish and crack resistance. These are available in varied specifications like sizes, designs, patterns and colors that are used to add charm to the place. We have the best carving unit in this work field . We can work in carving and inlay work both. We provide client best carving with high quality marble . We have 15 Years of experience in the work field , R.B MARBLE is one of the best well know of Company in Related to marble work. About usWe, R.B Marble And Granites , established in the year 2003, are among the prominent manufacturers, suppliers, traders and exporters of an extensive array of best in class Marble Statue & Handicraft. The statue and handicraft range offered by us is inclusive of Marble Durga Statues, Marble Ganesh Statues, Marble Laxmi Statues and many more. The marbles, which are best in the market, are used for crafting and designing these statues by our team of creative craftsmen. By using advanced crafting tools and equipment, our craftsmen design these statues and handicrafts in compliance with the prevailing market trends. These statues and handicrafts can be customized as per the requirements provided by the customers. Available with us at affordable prices, these statues and handicrafts are known in the market for their elegant design, impeccable finish, smooth polish, excellent sheen and eye-catching appearance. The offered range is tested on varied characteristics to ensure its adherence with the industry laid norms and standards. Along with this, the offered range is available in different customized sizes and shapes accordingly. This range is designed utilizing high grade raw material such as marble, sourced from reliable vendors of the market. Looking for Carving Marble ?